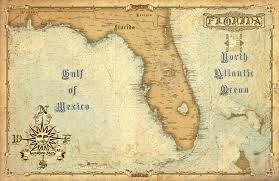 The Charles Brockden Brown Society is inviting paper proposals for its tenth biennial conference, ‘Recording Nature in the Early Atlantic World, 1750-1830’, which will take place between October the 8th and 10th this year in Ybor City, Tampa, Florida. The full Call for Papers can be viewed here. There are some generous travel awards available for graduate students. The deadline for proposals for individual papers and for panels is May 1st. Although it is often acknowledged that early modern books were routinely read aloud we know relatively little about this. Oral reading is not embedded as an assumption in existing scholarship. On the contrary, over the last two decades it is the studious and usually silent reader, pen in hand, who has been placed centre stage. This conference aims to: explore the kind of evidence and research methods that might help us to recover this lost history; think about how reading/singing aloud relates to other kinds of orality; recover the civic and/or social life of the performed book in early modern culture; and reflect on how the performance of the scripted word might inform our reading of early modern writing today. Thanks to generous support from the AHRC we have managed to keep the cost of attending the conference low. For the whole conference it is a mere £80 for those with salaries and only £50 for those without salaries. Please note that this is the EARLY BIRD cost (available until May 26th). Thereafter the cost goes up quite considerably. You can find the full schedule for the conference on the web link above, plus maps and information about booking accommodation. We have reserved rooms in a range of hotels that should suit different budgets. We look forward to welcoming speakers and delegates to Newcastle in July! Alison Lumsden holds a Chair in English at the University of Aberdeen. She has published widely on authors including Lewis Grassic Gibbon, Robert Louis Stevenson, Alasdair Gray, Nan Shepherd, Jackie Kay, and Robert Burns, but Walter Scott is the writer who lies at the heart of her research. Her monograph Walter Scott and the Limits of Language was published by Edinburgh University Press in 2010 and she has edited or co-edited five volumes of the Edinburgh Edition of the Waverley Novels (EEWN): The Pirate; The Heart of Mid-Lothian; Reliquiae Trotcosienses: or The Gabions of the Late Jonathan Oldbuck Esq. of Monkbarns; Peveril of the Peak and Woodstock. She is currently building on this research through her role as Series Editor for the new Edinburgh Edition of Walter Scott’s Poetry, which we discuss below. 1) How did you first become interested in Walter Scott’s poetry, and what made you want to embark on a new edition? I first became interested in Walter Scott when I began a PhD in Scottish literature in the 1980s. It was the novels that really interested me then though, and I was looking at parallels between the ‘post-modernism’ of later twentieth century Scottish literature and the self-consciousness of the nineteenth century Scottish novel. However, I have also had a more personal interest in ballads, traditional Scottish culture and folklore since childhood and so I was fascinated by Minstrelsy of the Scottish Border and Scott’s poetry. When I completed the PhD I was immediately employed as a research assistant with the Edinburgh Edition of the Waverley Novels team and quickly realised that I loved working on manuscripts and thinking about the ways in which a text evolved during the creative process. When the Edinburgh Edition of the Waverley Novels was complete it seemed a natural next step to go back and edit Scott’s poetry. I don’t think anyone could have imagined that there would be a market for this when EEWN was initially proposed, but in the last thirty years our ideas about Scott and Romantic poetry more generally have evolved and the time now seems right to edit Scott’s poetry. 2) How did you go about securing a publisher and putting together a team of editors for the ten volumes? The Edinburgh Edition of the Waverley Novels is published by Edinburgh University Press and they also publish the Stirling/ South Carolina Edition of the Works of James Hogg and the New Edinburgh Edition of the Works of Robert Louis Stevenson. 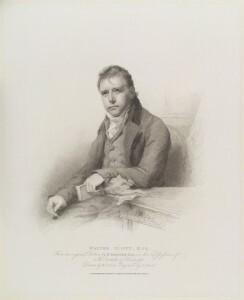 As such they are the foremost publisher of Scottish scholarly texts and seem the natural home for the Edinburgh Edition of Walter Scott’s Poetry. The Poetry Edition is envisaged very much as a sister edition to EEWN and we hope that people will feel that it will complete their set of Scott’s creative works, so we were delighted when EUP agreed to publish the poetry in a similar format. Putting together a good team is one of the key aspects of any scholarly edition, as the process is a collaborative one and one that does not suit all literary scholars. We had gathered a huge amount of expertise while editing the novels and I was keen to capture it and also to pass it onto a new generation. I was therefore delighted that Professor David Hewitt, Editor in Chief of the EEWN was willing to come on board as part of the team along with Professor Peter Garside who has vast experience as an editor for both the Waverley Novels and the Hogg edition. Dr Gillian Hughes of the Hogg edition was also keen to be involved and we were also extremely pleased to have her join us with the experience she could bring. In addition Dr Ainsley McIntosh had completed a scholarly edition of Marmion as her PhD thesis at Aberdeen and as a pilot for the edition and she joined our team for the preliminary investigation and for the development of the early volumes. Not all volume editors have been assigned yet and we very much hope that once we have published some of the edition new editors will get involved so that we can pass on some of the expertise we have here. 3) How different has the process of editing Scott’s poetry been from your previous work editing and co-editing volumes for the Edinburgh Edition of the Waverley Novels? There are many similarities and our methodologies build on those of the EEWN but there are also sufficient differences to make this new project interesting. One of the most significant differences is that while Scott published the majority of his novels anonymously this was not the case with the poetry. As a result the creative evolution of the poems takes a very different form as readers engage in a dialogue with Scott about the poems both before and after publication and Scott at times responds to this when he writes or makes changes between editions. This presents new challenges when editing them. In addition, while the majority of notes were added to the novels as part of the 1829–32 Magnum Opus Edition, the notes are intrinsic to the poetry from the outset. The status and meaning of the notes thus has to be addressed, along with the fact that these tend to expand as the narrative poems go through later editions. 4) What can we expect to find when we open the first volumes of the new edition? Our first volume will be Marmion and the format of the edition will very much follow that of the Edinburgh Edition of the Waverley Novels. Scott’s poem and his own notes will take priority and this will be followed by an essay on the text explaining the evolution of the poem and how it has been emended for this edition. We will also provide an emendation list. An historical note and explanatory notes will follow that. One of the significant changes from earlier editions will be the inclusion of Scott’s notes in a form that makes them readable; in the past they have often been lacking completely or in a font so small that they are virtually illegible. The new edition will make the significance of Scott’s notes far more visible as they are clearly part of the longer narrative poems and not simply adjuncts to them. The Shorter Poems will also be one of the volumes to come out early in the edition and this will, I think, significantly revise our understanding of Scott’s role as a poet and put paid to the idea that he stopped writing poetry when he began to write novels. 5) While there has been a recent revival of interest in Scott’s verse, it’s still relatively unfamiliar territory for many scholars and students of the Romantic period. Which poems would you particularly recommend to those wanting to begin an exploration of Scott’s poetic oeuvre? I would always encourage students to start with The Lay of the Last Minstrel. It is the only one of the long narrative poems that you can read at one sitting and it engages with many concerns that we now recognise as central to Romanticism: the idea of the bard is at the heart of it and is linked to ideas of nationhood and the poem also incorporates elements of the supernatural along with wonderfully associative descriptions of landscape. Over the years I have taught it many times and students have always loved it. Marmion is perhaps a more intellectually challenging poem and The Lady of the Lake deals with the role of landscape and questions of political authority in truly innovative ways but as an entry poem into Scott’s oeuvre I would recommend The Lay. Ted Underwood is a Professor and the LAS Centennial Scholar of English at the University of Illinois at Urbana-Champaign. His graduate work was in the field of Romanticism and led, among other places, to his first monograph, The Work of the Sun: Literature, Science, and Political Economy, 1760-1860. His current research explores the possibilities opened up by digital technologies for working on large collections of texts written over considerable periods of time; some of his recent progress in this area is detailed in his interim report Understanding Genre in a Collection of a Million Volumes. 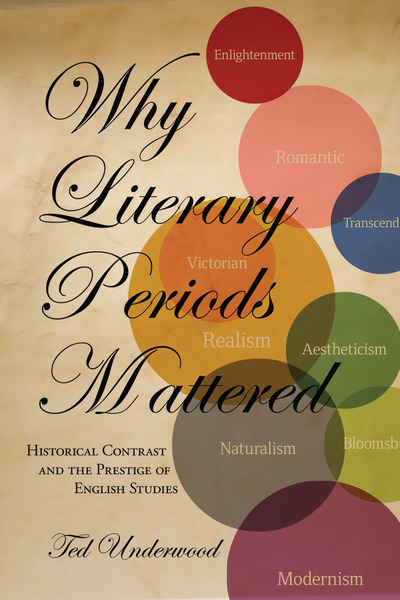 Below, we discuss his fascinating book Why Literary Periods Mattered, first published by Stanford University Press in 2013 and now available in paperback. Ted blogs at The Stone and the Shell and can be found on Twitter @Ted_Underwood. 1) How did you first become interested in the importance of periodisation to the identity of literary studies? It’s interesting, because the book project started out with a different goal — more about writers’ emotional investment in historical difference as a paradoxical model of the afterlife. In 2002, when I published an early draft of a chapter in PMLA, that was what I expected the book to be about. But I also wanted to flesh that intellectual thesis out with a more institutional, social story, and to get that material I did about a month of archival research at the University of London. It was there that I realized this could also be a story about disciplinary history, because period survey courses and the historicist afterlife seemed to work in very similar ways. And then, frankly, my editor (Emily-Jane Cohen) and Adam Potkay (one of my readers) encouraged me to keep moving in the direction of disciplinary history. So I ended up dropping a whole chapter on the later nineteenth-century novel and writing a new one on twentieth-century curricula. It improved the book. 2) When Romanticists think about our predecessors in the period which we classify ourselves as studying, we tend to jump first to writers who are recognisably critical, such as Samuel Taylor Coleridge and William Hazlitt. Your book makes clear that in fact the shape of literary studies has drawn considerably on discourses derived from popular histories (in numerous forms, including charts created by Joseph Priestley) and from the historical novel, most notably the works of Walter Scott, which developed the kinds of contrastive histories which inspired the first periodised English courses. How do you think reclaiming these antecedents helps us better to understand the natures of what we do and what those we study did? I think you’ve phrased this very well. Scholars always like to trace academic genealogies that are internal to their own discipline. We play down the influence of other disciplines, and of broader trends in social and cultural history. You see the same thing in digital humanities right now: there’s a huge pressure to find ancestor figures who were “pioneering humanists.” We play down connections to the social sciences, and to popular enthusiasm about the internet; those genealogies are embarrassing. For me the lesson is to be wary of the power disciplines exert over our imagination. 3) Why do you think that periodisation has proved to be such a resilient organising principle for English curricula? Here again I’m inclined to emphasize a disciplinary raison d’état. By the twentieth century, a vision of literary history organized around discrete schools and movements had become a really central part of the cultural capital that literature departments were empowered to distribute. Social scientists could argue about causes, and historians could trace continuities, but we had a lock on the discrete quiddities of classicism, romanticism, and so on. I frankly think periodisation endured for what you might call marketing reasons. 4) How do you think that reducing the emphasis which we place on contrasting periods might benefit English Studies? I’m not at all opposed to teaching period surveys. That kind of focus has value, and it’s something we’re already trained to do well. But I do think there are also other things we could be doing. I’m sympathetic to the argument Jo Guldi and David Armitage have been making in The History Manifesto, to the effect that history needs to reclaim its public significance by embracing a longue durée. I suspect that’s also true for literary studies. But I have to admit, I’m not sure I know yet what the public significance of a literary longue durée would look like — because frankly, I don’t think we understand our longue durée very well yet. This may be a case where we have to do more research before we’ll know what we could be teaching. 5) Since the book’s publication, how have you been using digital methods to address the ‘blind spots of literary scholarship’ to which periodising models contribute? As a grad student, I thought we basically understood the broad contours of nineteenth-century literary history. You know, romanticism, realism, modernism; the big outlines at least were going to be stable. But as digital libraries and quantitative methods make it possible to actually look at a picture composed of thousands of volumes, I and other researchers keep stumbling over broad, continuous trends that don’t line up well with existing periodising concepts. These larger trends don’t necessarily displace a concept like “romanticism”: that’s still a word with real uses. But it’s becoming clear that there are also other scales of literary change that we don’t understand, and may not even have glimpsed. In the book I gave one example of a big trend we’ve been blind to — a linguistic differentiation of poetry, fiction, and nonfiction prose from the late eighteenth century to the early twentieth. I just looked at one aspect of that trend in the book, but I’ve gotten more evidence since then which suggests that the diction of these genres really became more dissimilar overall. It’s quite opposite to the notion I was taught — that romanticism ended specialized poetic diction, and poetry thereafter became more like other forms of writing. But that’s just one example; there are a lot of people making similar arguments. Ryan Heuser and Long Le-Khac have a brilliant pamphlet about a gradual shift from abstract to concrete language in nineteenth-century fiction. In a recent ALH article, Matthew Wilkens has shown that geographical emphases in American literature changed more gradually than scholars have thought. Hoyt Long, Richard So, and I recently collaborated on a piece for Slate that traces some long slow changes in the rhetorical function of money in fiction. Jordan Sellers and I are at work right now on a piece about the history of literary evaluation, which argues that the literary standards embodied in reviews of poetry remained remarkably stable from 1820 through 1920 — and when they changed, changed in a direction that remains remarkably consistent over the whole century. This will be coming out in a special issue of MLQ that I’m organizing with James English. I realize this is all going to be controversial, and sometimes our specific claims will turn out to be wrong. But I’m increasingly confident at least about the negative premise of these arguments — the notion that we don’t already understand literary history at the century-long scale. I am pretty sure we don’t. There’s potentially a huge opportunity here for grad students, but it’s also unfortunately difficult for students to develop a research project at this scale. It takes interdisciplinary training, and it may also just take more than one pair of hands. The Stanford Literary Lab has done a good job of solving these problems; that’s the model I’d like to reproduce at Illinois. BARS members might be interested in an upcoming conference on ‘The Uses of ‘Religion’ in 19th Century Studies’, which will be hosted by the Armstrong Browning Library at Baylor University from the 16th to the 19th of March 2016. The conference will engage with questions being asked ever more frequently among scholars of the nineteenth-century in a variety of disciplines concerning the category, “religion.” Scholars have recently noted the uniquely modern, Western character of “religion,” which grew up alongside notions of “the secular” and was deeply entangled with the historic realities of the formation of state power, imperial expansion, and discriminatory portrayals of non-Europeans. The conference will feature 15 select presentations that will extend our understanding of the uses of “religion” and inform future academic conversation. Further details, including the full Call for Papers, can be found on the Browning Library website.